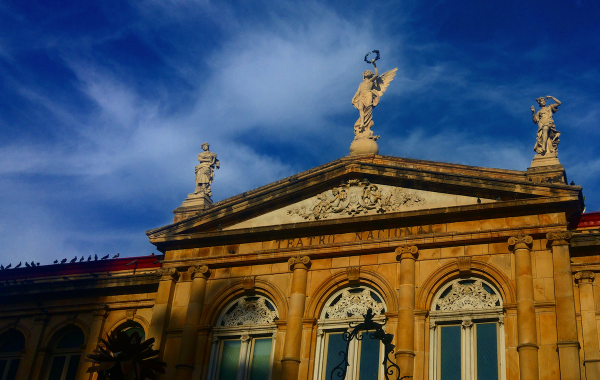 When the Partido de Acción Ciudadana (Citizenship Action Party) won the presidential election in Costa Rica, it represented a major win for progressive values. In a very polarizing race, the conservative party Partido Restauración Nacional (National Restoration Party) ran on an anti-LGBTQ campaign and won the first round of elections, making the turnout for PAC in the second round a national statement about inclusion for all. And yet, the victory was historic for other reasons. 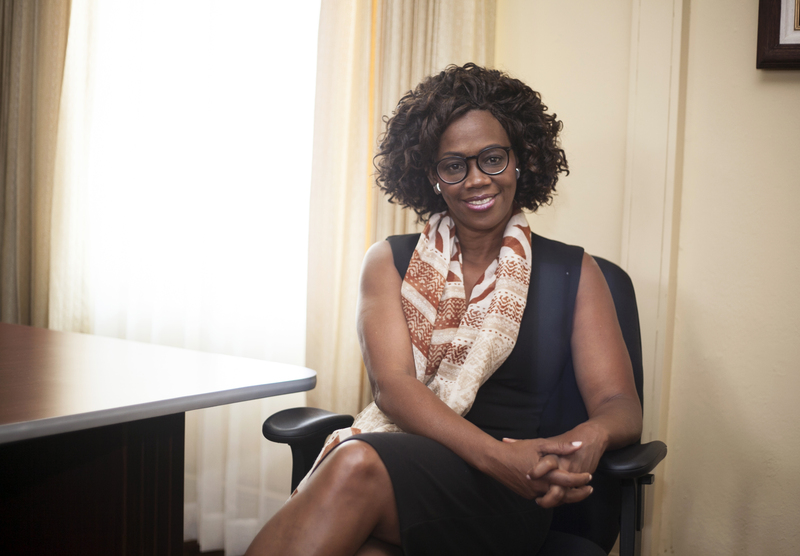 Vice President-Elect Epsy Campbell Barr became the first Black woman to ever achieve this feat in Costa Rica, and in all of Latin America. In a phone interview with Latino USA, Campbell Barr reflected on this victory, and what it means for her and for the region. With a background in activism, Campbell Barr understands the power of this position as key in fighting for inclusion, not only for AfroLatinos and Afro-Costa Ricans, but for all marginalized communities. Campbell Barr spoke with Latino USA about the importance of the position, what she plans to do with it, and what it means in terms of representation. 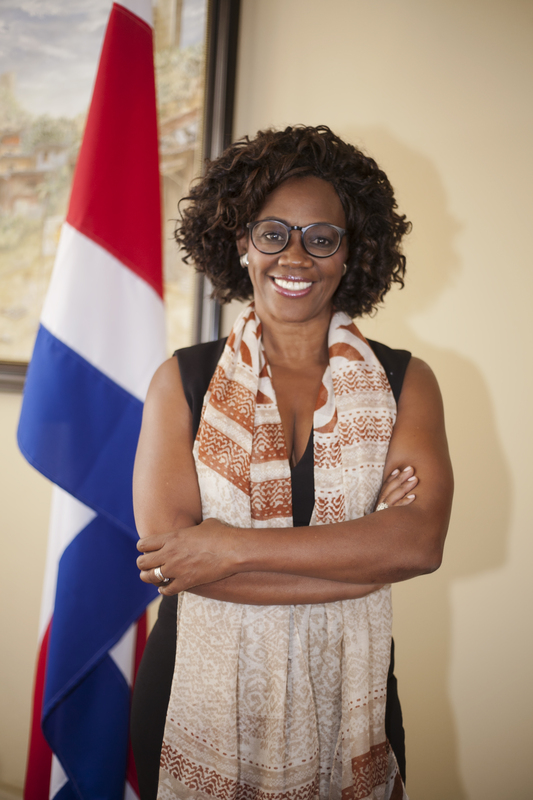 “I believe that all of one’s political life is marked by one’s identity, I have always claimed my identity as an Afro-Costa Rican woman in the political work I have done in this country” she says, “You look at public policy as an opportunity to create wellness, and also as an opportunity to look at different human groups, and different sectors of the population: the 50% of the population that I’m a part of which is women, Afro-descendant communities too, and so that political and economic agenda does become impacted.” Still, Campbell Barr emphasizes throughout the interview that she represents all Costa Ricans. 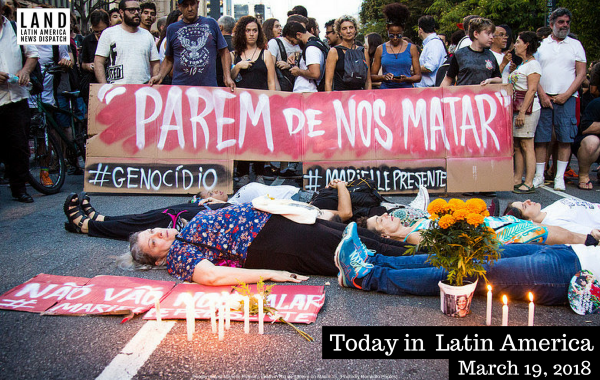 When asked about the assassination of Marielle Franco, an Afro-Brazilian lesbian activist who was murdered one month ago this week, Campbell Barr also expressed the need for those fighting for social justice to consider this as a moment to renew their resolve. “She became one of those victims who lost her life because she didn’t stay silent, that forces all of us women, all the people committed, men, to continue to work for justice and against racial discrimination.”. 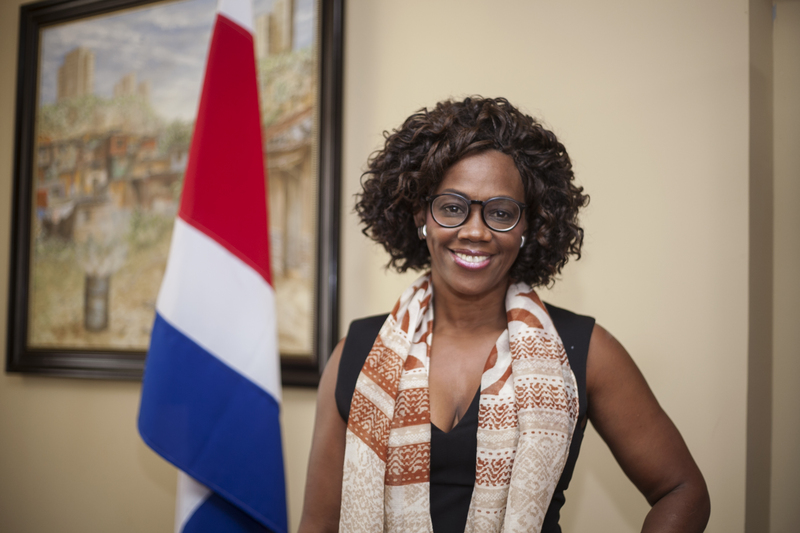 See the full interview with Costa Rica Vice President-Elect Epsy Cambell Barr below. You made news recently when you became the first Black woman or Afro-descendant woman to ever be elected as Vice President in a Latin American country. How did it feel to make history in this way? Well, the first thing is that it is really a process. It’s an internal process in Costa Rica, and a process in Latin America of the visibility of Afro-descendant people, which is consolidated with this electoral victory, which is also a point of inflection in Costa Rican politics. I have been involved in the Partido de Acción Ciudadana since a few months after its founding, it is a party that has incorporated issues related to the participation of women. It has had, since its founding, 50 percent of all positions of popular choice and 50 percent of the party structure for women. And some of us, since joining the party, have incorporated an agenda related to ethnic and racial inclusion, and an agenda for people of African descent. As a product of that work, I have been a congresswoman twice. I was also part of the first legislative faction of my party, which I also presided over for four years, and was coordinator or spokesperson of the party and of the legislative faction for two years. So it’s part of a long process, I think it’s the beginning, and the consolidation of a topic that we have pending for Afro-Latinos in the region, that has to do with political participation. Political participation continues to be exceptionally important for millions of Afro-descendants, we estimate that we are 200 million throughout the region. And I feel not only honored, but with an extraordinary responsibility that this will serve to open the doors for many more Afro-descendant women and Afro-descendant men to occupy this type of position. You talked a bit about what you did within the party to create more representation for AfroLatinos. In your position now, what will you do to support Afro-Latinos or Afro-Costa Ricans? Do you have some specific policies or plans in mind? There are a series of state commitments that we are going to follow up on that have to do with the Decade for People of African descent. There is a vigorous agenda that I want to lead that has to do with the issue of the inclusion of women in general in this country, including indigenous and Afro-descendant women. There are pending democratic issues, we are going to become the government of the bicentennial (the bicentennial of the independence of Costa Rica is celebrated in 2021) and I think that we will be able to have great debates related to a series of sectors of the population that have been historically excluded. I believe that I can’t only see my representation as a function of the Afro-descendant community—that is a part of it—but fundamentally I understand myself (and have been elected as) vice president of all Costa Ricans. And the possibility of accessing this position is that we have a vision first that guarantees that the sectors that have been left behind have opportunities. [We must] have a vision of the government that generates justice, generates opportunities, so that we can effectively face many of the historical challenges that we have in the country with 20 percent of people living in poverty, most of these women. We have to look at this as that possibility that the Costa Rican political representation increasingly begins to look more like what the Costa Rican population is as a whole. So, I really have that agenda, because it is the agenda of equality, the agenda of justice, the agenda of non-discrimination, the agenda of opportunity, of the reduction of gaps, which obliges me to move with this responsibility that I will assume May 8th, [in a direction] to make a qualitative leap in terms of the social and economic inclusion of the most disadvantaged sectors in Costa Rica. I wanted to ask you a question about your career, has being Black or Afro-descendant impacted your career? For example, has it impacted any decisions you have made in your career? Before being a politician or incorporated into my own political party, I had a long history as a social activist for human rights, for the human rights of women, for the human rights of Afro-descendant peoples, of rural sectors. So I enter the political life with an agenda, and I enter with an agenda in a political party that poses environmental, social, and cultural challenges. Like a 21st century party, it intends to make important changes in the country. In my political life, I consider that we have to delve into those issues related to the productive and economic development of our countries and to see evidently Afro-descendent, indigenous and rural populations as a fundamental focus. I believe that all of one’s political life is marked by one’s identity, I have always claimed my identity as an Afro-Costa Rican woman in the political work I have done in this country. And it seems to me that there is definitely an impact when one comes from some sectors, You look at public policy as an opportunity to create well-being, and also as an opportunity to look at different human groups, and different sectors of the population: the 50% of the population that I’m a part of which is women, Afro-descendant communities too, and so that political and economic agenda does become impacted. Political life, anyway, is not an easy life, is it? You have to be confronting proposals with opposition to those proposals, you have to be negotiating permanently, you have to be generating dialogues with the different sectors, and economic and social pressure groups, but I believe that during the course of my life, I have had as a fundamental characteristic to understand that politics is not only made from political parties but also from the different factors of society, and particularly from the factors of civil society. During your activism and your career, have you experienced any acts of racism or discrimination? 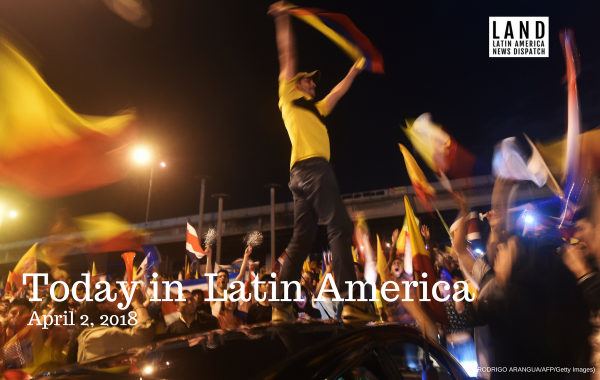 I would say that those who live in a society like Latin America will understand that the situation—discrimination—is a characteristic and is a reality that we try to overcome. However, any particular experience that I have had to experience, just as women have dozens of specific experiences that one could put on the table, or Afro-descendant and indigenous peoples, experiences of discrimination, it seems to me that these have served to strengthen my debate and democratic political discourse. They have been obstacles that I have had to face to take a step forward, and understand that we have many tasks to achieve. I don’t stop often to focus on those experiences that serve to put in the public debate, the issue of public policies, the issue of the sectors of the population which must be given special importance. Here we have a democratic institution that has a defense of the inhabitants that looks at the cases of discrimination, and I have accompanied a significant number of people who have been victims of discrimination, in different expressions, to ensure that the institution responds to them. But, of course, one is constantly facing those realities. It is [about] overcoming them, it is placing proposals next to realities that have to be overcome and I have understood that every time the Costa Rican population, just like the Latin American population, understands more that the impact of racism, sexism, discrimination, not only has unacceptable human costs, but also has an economic cost, because the economic growth of our societies would be much greater if women participate in equal conditions, if Afro-descendant peoples are also doing so, there is an economic risk. And an economic cost of discrimination in addition to, as I said, unacceptable human costs. But walking in opportunities like this allows the whole country, allows the region, to put these issues back on the table as relevant issues, to guarantee inclusive democracies in this, my own country in which I live, which I am absolutely grateful and proud of—understanding the challenges that we have in the entire Latin American region where we have many unsolved human rights issues. This week, it’s been a month since the death of Marielle Franco, I wanted to know if you had any comments about that and that case. It seems to me to have been one of the cruelest murders. I think that the social movements and the women’s movements have really raised what it has meant. I think it shows us the work that we have to continue doing for justice and inclusion. She became one of those victims who lost her life because she didn’t stay silent, that forces all of us women, all the people committed, men, to continue to work for justice and against racial discrimination. I wanted to comment that I’m also AfroLatina, I’m Dominican. So for me, it was powerful to see your case, and this victory which made an impact across Latin America, not only Costa Rica. Exactly, it’s our victory. And you, being AfroDominican, knows what it means that more photographs like ours are building new imaginaries so that many girls and many women continue to walk on a path of occupying the spaces that have been so difficult for AfroLatina women to reach.